These beads are over the top gorgeous! 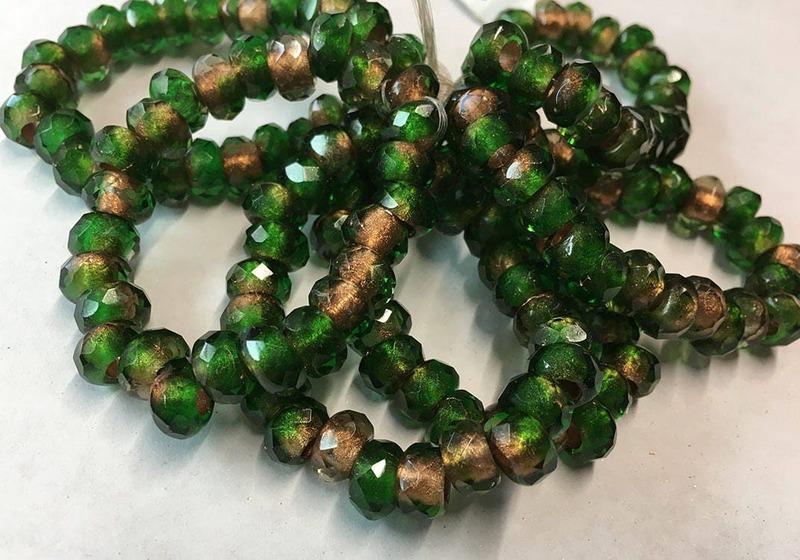 These small 6x9mm Czech glass roller beads are a bright green with metallic copper lining inside the holes. Large 3mm holes make them great for designs using larger cords. 25 beads to a strand! Excellent product. Excellent communication. Excellent service.